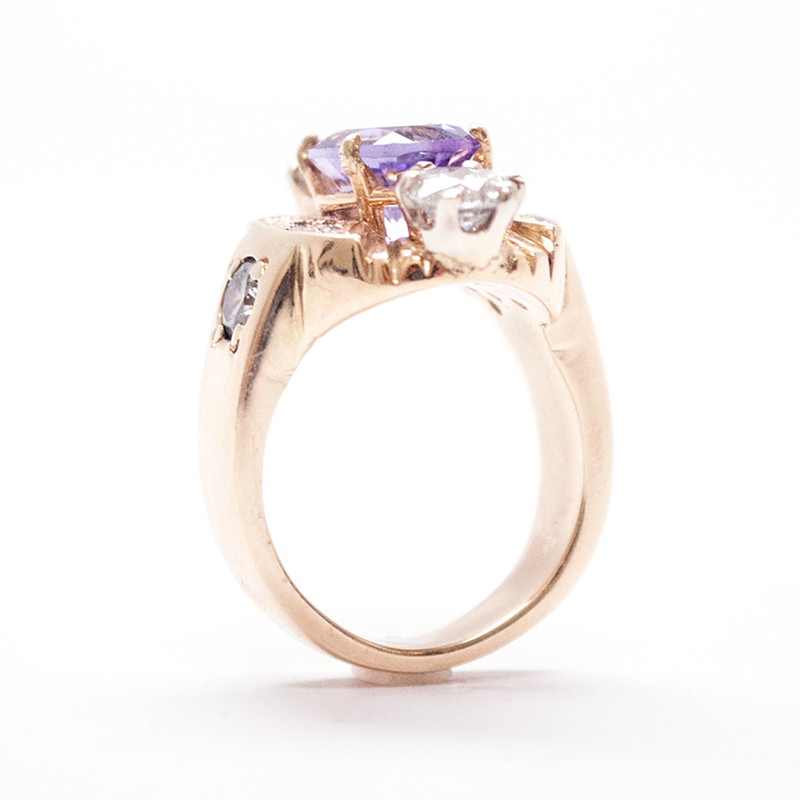 One 14 K yellow gold lady's amethyst and diamond ring with a tapered half round shank with a bright polish finish. 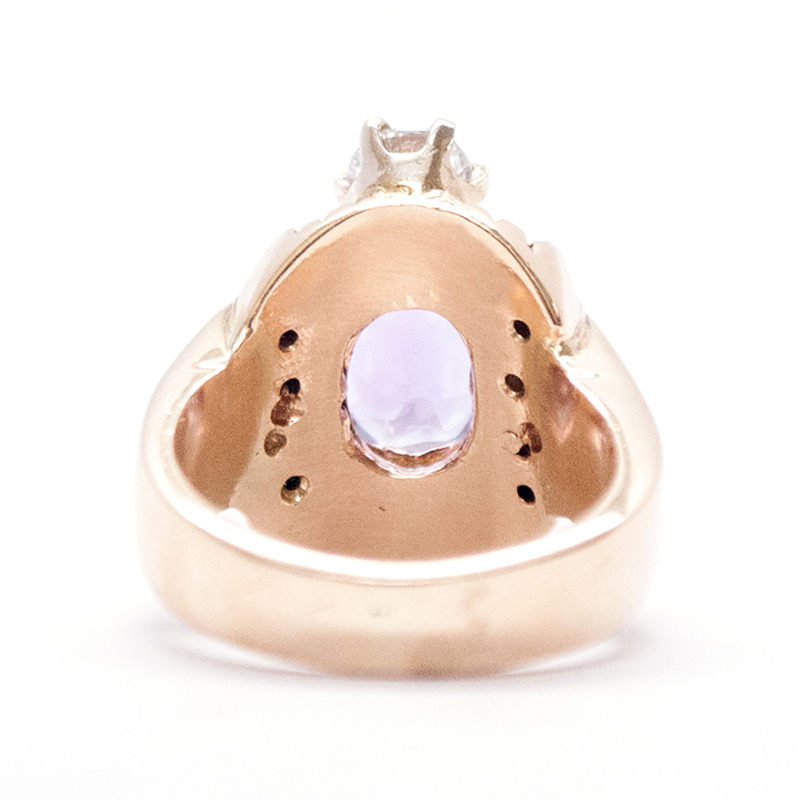 This ring highlights an oval shaped amethyst in a four prong setting. 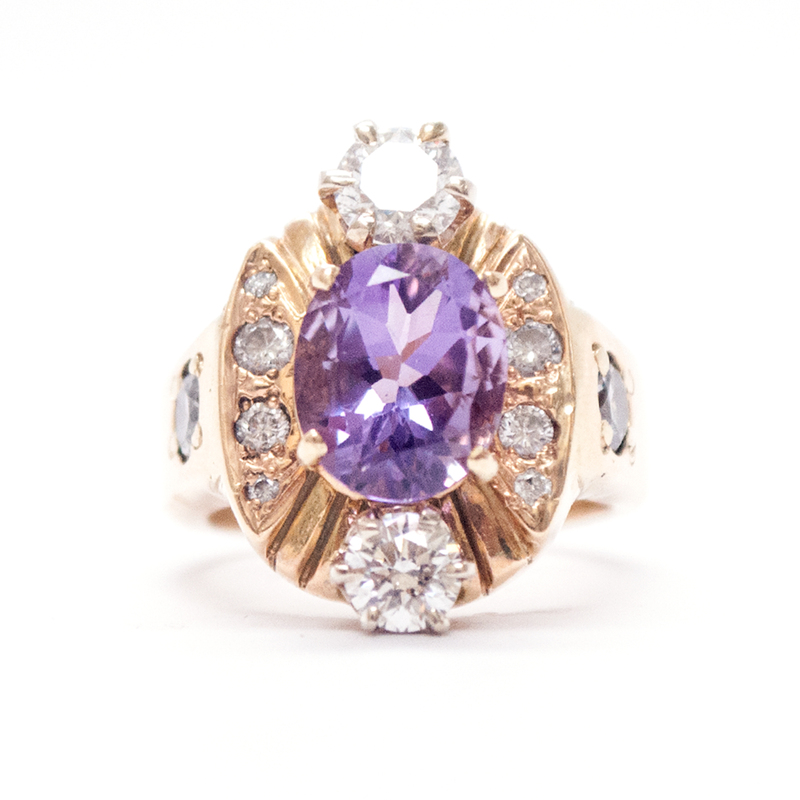 At the top and bottom of the amethyst there is a prong set round brilliant cut diamond. 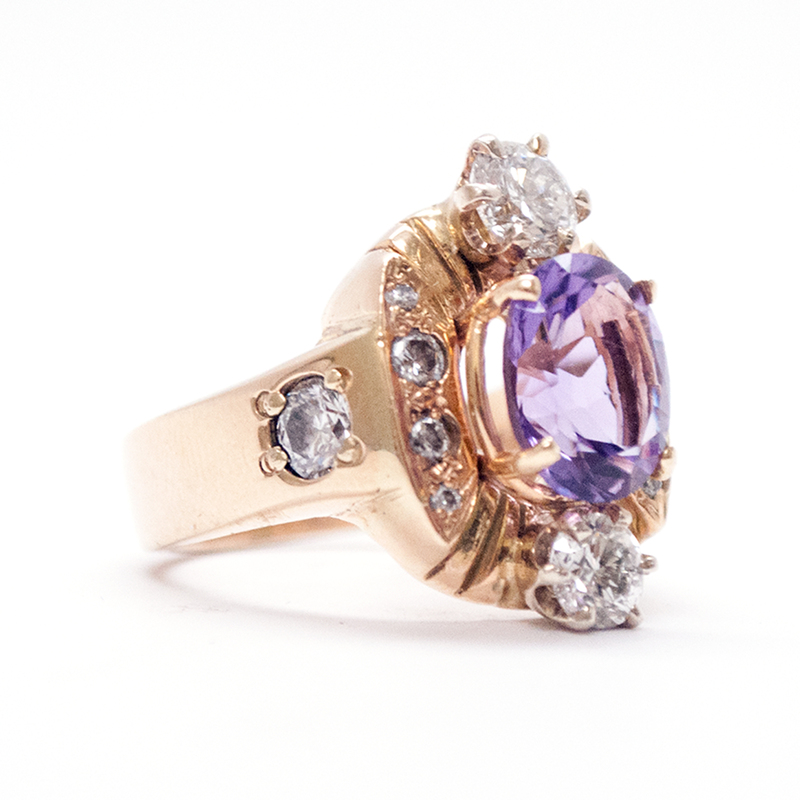 Each side of the amethyst contains a row of four, smaller bead set round brilliant cut diamonds with an additional single single bead set round brilliant cut diamond accenting each side of the shank.